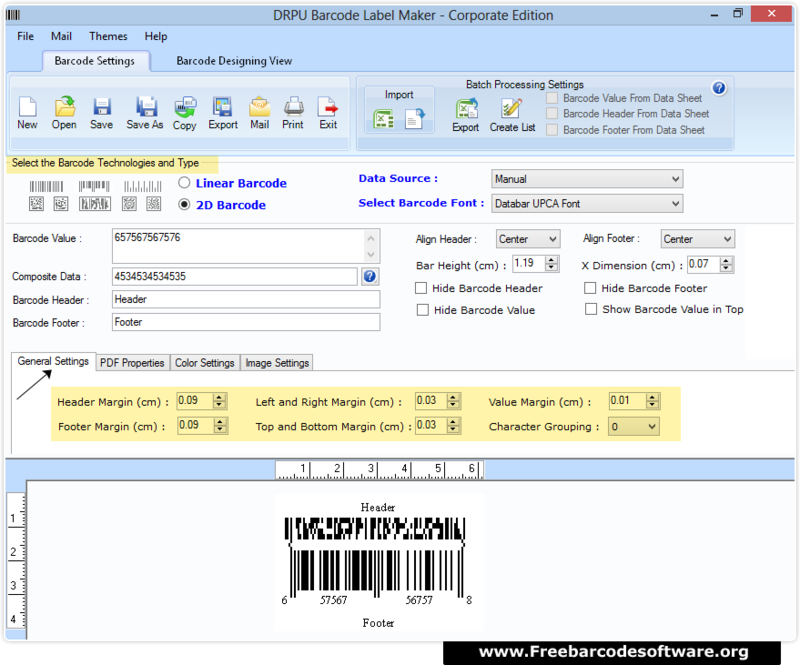 First select barcode technology and font type then set barcode value, header, footer with margins. 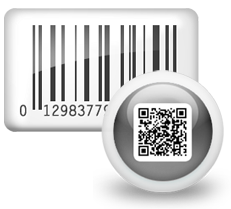 You can also do change in PDF properties, color settings and image settings. 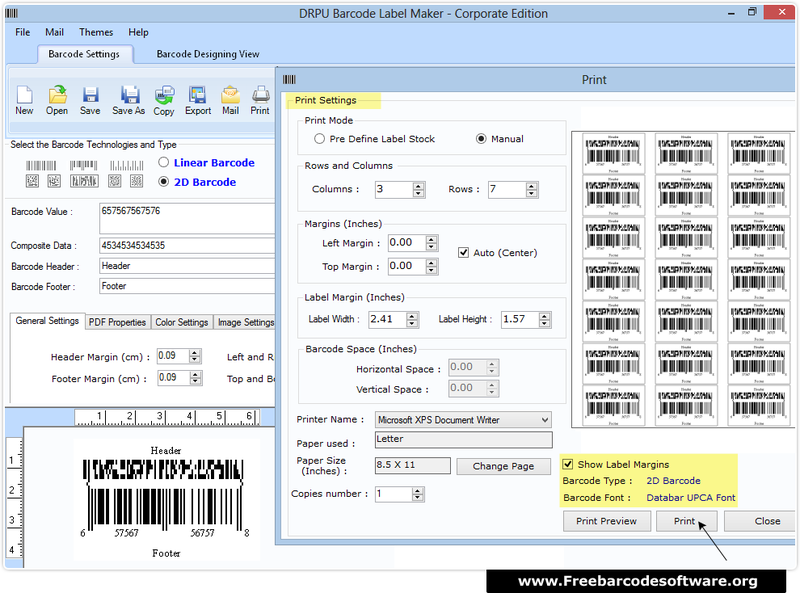 To print designed barcode, go to print button from tool bar and select print mode. In case of Manual mode, set attributes accordingly.